From the book’s opening scene until I closed the novel a few hours later I was totally mesmerized by Jack and his Ma and the eleven by eleven world they lived in, their ‘Room.’ Jack and Ma live in this Room because of Old Nick, a predator who kidnapped Ma when she was 19 and has held her captive for seven years. Room is a prison, but it’s also the only home Jack has ever known. He doesn’t understand Outside, but he’s curious and Ma knows that time is running out. They must find a way to escape. Jack is a mesmerizing character and although it was risky to allow the story be told entirely through him, it’s a risk that pays off. His worldview is so naive. He has no real concept of time (his sixth birthday will happen next week, his birthday cake takes hours and hours to make) and he believes that the people in TV “are made just of colors.” His world is structured: sleep, eat, exercise, watch TV, read. His only playmate is his mother, but even through his innocent eyes he can see that Ma is struggling. Sometimes she spends entire days “Gone.” Sometimes she displays emotions Jack is unable to understand. 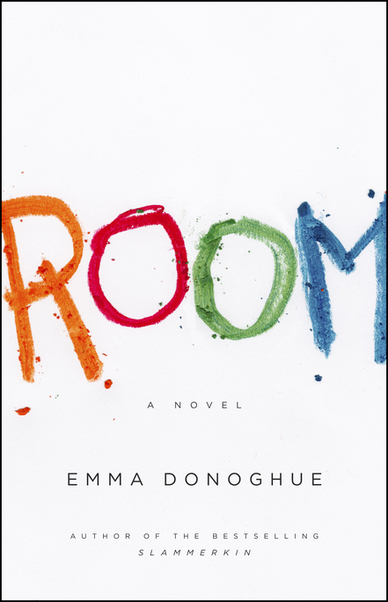 Room is a remarkable achievement. It reads like a thriller; I couldn’t turn the pages fast enough. But it is also a beautiful testament to the power of love. What wouldn’t Ma do for Jack? Even more amazing, is what Jack is willing and able to do for Ma. I’ll be thinking about this book for a long time. This entry was posted in Book Chat and tagged 2012, Book Review, Canadian, challenging, highly recommended, literary fiction by Christie. Bookmark the permalink.